To achieve a perfectly straight and smooth look, you will probably need to use electric hair straighteners – particularly if your hair is naturally wavy or curly to begin with. Even if your hair type is straight, you may still often find slight kinks that prevent it from looking completely smooth. All straighteners can cause a small amount of damage, but as long as you use your straighteners correctly you can minimize any damage. First of all you must choose your straighteners. There are so many on the market, it’s hard to know which one to go for. 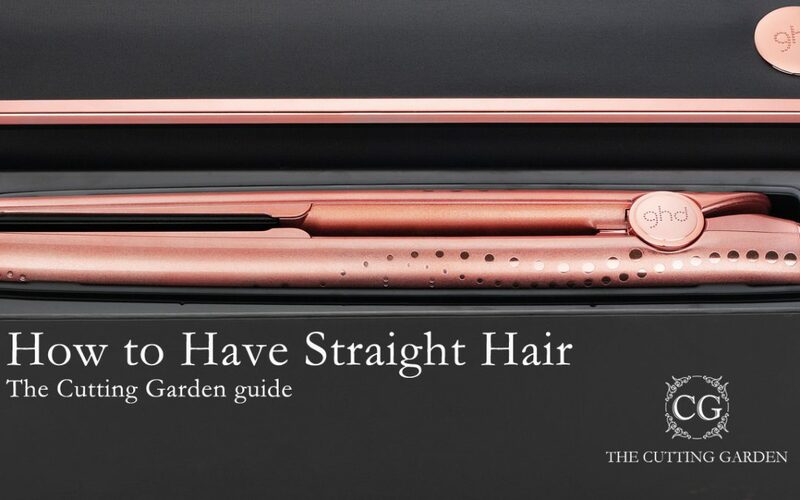 The best of them all are undoubtedly the GHDs and that’s why here at The Cutting Garden we use them in the salon and always have a variety of straighteners in stock ranging from the Classic to Platinum range, with mini and max plates. Ask your stylist at The Cutting Garden which one would be suitable for your hair, they will be happy to recommend the perfect pair for you. Once you have found the right pair for you, it’s important to team it with heat protection. To minimize any possible risk of heat damage, we recommend you protect your hair prior to styling using one of our favorite salon products: Milkshake Incredible Milk! It’s a leave-in treatment for all hair types, with 12 incredible effects. Step 1: Evenly distribute 5-7 pumps to damp/towel dried hair. Step 2: Now dry your hair completely, before styling with your GHD straighteners. Straighten your hair in smaller sections to achieve a smoother result – with a GHD styler you will only need to go over the hair once or twice. 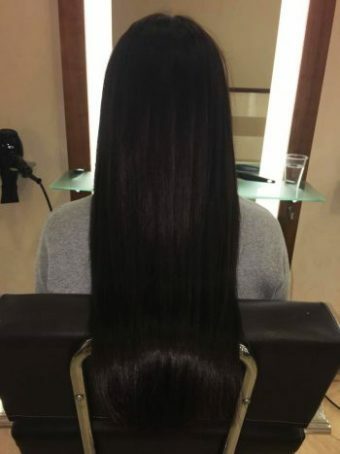 If you feel uncertain about using these techniques by yourself ask your stylist at The Cutting Garden who would be happy to show you how to use your straighteners and recommend products to protect your hair. Here are some valuable tips that you should refer back to every now and then. Firstly, never straighten your hair while it’s wet, you will damage it. Secondly, if you straighten your hair every day it will become dry, brittle and fragile. Also it’s important to remember that if you look after your straightener, it will look after you. Ensure you clean them often with a warm, damp cloth. Always let them cool down before you do this and make sure they are never, ever plugged in whilst you are cleaning them. If you’re not so keen on using hair straighteners, you can achieve straight hair using your hairdryer. Once you have shampooed and conditioned your hair, towel dry off and apply product. Either use Milkshake, as I mentioned above, or serums that help control frizz. These are perfect for this look. All you need is a hair dryer, a section clip and a paddle/round brush. The trick is, to blast off your hair so it’s at least 80% dry. After this, section off your hair starting from the back working up, then a side at a time, with each section at least an inch wide. Hold the brush under the section with the dryer over the hair, while moving the brush in a downwards motion. This helps to smooth out the hair cuticle, ensuring the hair is straight. On your next visit, be sure to ask for Olaplex. Here at the Cutting Garden, we are amazed at the revolutionary benefits following this simple treatment! It is a salon system that rebuilds broken hair bonds. You can use Olaplex as a stand-alone treatment to restore compromised hair, or add it to another service to provide the ultimate breakage insurance. We all love to embrace the “au naturel” look, that fresh unprepared style, but sometimes a simple temporary change can be just what you need. 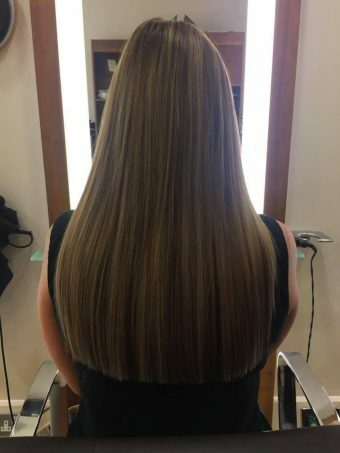 If you would like to try sleek and poker straight hair for a change, ask your stylist to give it a go. At The Cutting Garden we can also recommend suitable products to effortlessly help keep your locks shiny all day long.